A Pilot EX or EX-L with Honda Sensing can be a strong value. We've spent a year with a Touring, and haven't seen the fuel-economy gains promised by that version's 9-speed automatic. 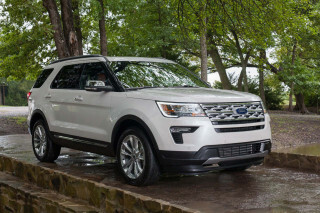 That Pilot was a big hit, and its follow-up act sold well, too, despite a bricklike body that tried to ape its domestic kin, the Ford Explorer in particular. Now the third-generation Pilot is in its second year, and it's a flip back to Honda's winning form. Sold in LX, EX, EX-L, Touring, and Elite trims, the 2017 Honda Pilot has only made minor changes versus its complete redesign last year. The Pilot's soft corners and rounded fenders are more appealing than the boxy shapes that preceded it. We've seen the look elsewhere--Traverse--but that doesn't diminish the elegance of the shape, or the better detailing. The Pilot still balances its glass to metal better than any rival, still stays far away from the rough-and-tumble look of, say, a Durango. Inside, the Pilot is very well finished, with a neatly organized cabin surrounded by lots of glass, from tall side windows to an available huge panoramic roof that floods the cabin in natural light. 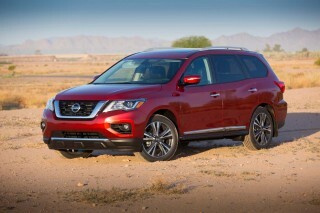 With its 280-hp V-6, the Pilot pulls strongly whether it’s paired with a 6-speed or a 9-speed automatic. 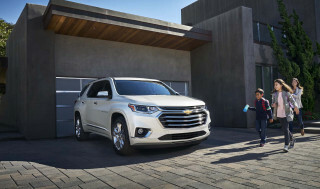 Front-wheel drive is standard, all-wheel drive is an option—and the Pilot can be outfitted with a traction management system that can help it pull out of mud pits or snow with ease. The Pilot also will tow up to 5,000 pounds. 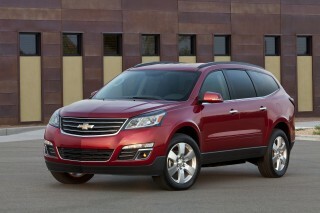 Fuel economy has been rated in the low 20-mpg range; we've observed lower figures. 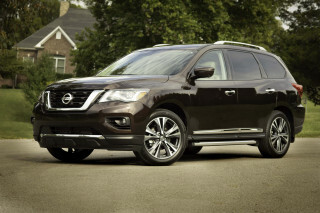 The Pilot's plush ride and relaxed steering give it a luxurious, mature feeling. 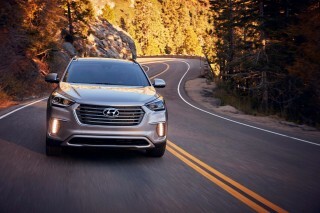 The all-wheel-drive system has torque vectoring that lets it turn in more sharply to corners, and that can seem at odds with the softly sprung ride. 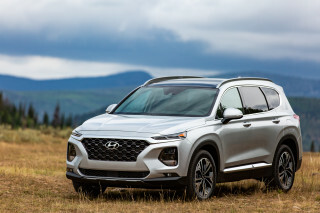 You might be just as happy with the firmer-riding front-drive version with the standard 18-inch wheels and tires—as would we—but it's only offered on the lower trim levels. Three rows of seats and space for up to eight passengers make the Pilot Honda's most versatile vehicle. The front seats are just about ideally shaped, and with step-in height about an inch lower than before, the Pilot is an even better bet for smaller or older drivers. The middle row is adult-friendly, and for the first time, you can get a version with two captain’s chairs and a pass-through. The seat reclines for long trips and has its own tray table and cup holders. Pricing for the Pilot starts at $31,585 for the front-wheel-drive Pilot LX; the EX has a base price of $33,930. At the top of the lineup, the all-wheel-drive Pilot Elite with navigation carries a base price of $47,970. A trim, sedately styled body and interior put the Honda Pilot right in the crossover mainstream. Back when the Pilot was first introduced in 2003, its boxy but rounded shape reminded us of excellent family cars of the past. It was a Volvo wagon for people priced out of Volvos, and it was fine. 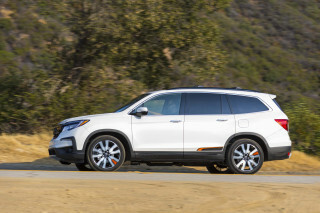 Then Honda went overboard with ersatz-SUV styling, and in the teeth of the anti-SUV recession of 2009, it launched the boxy second-gen crossover SUV. Wrong move. The Pilot's amiable road manners put ride comfort ahead of sharp steering and quick shifts. 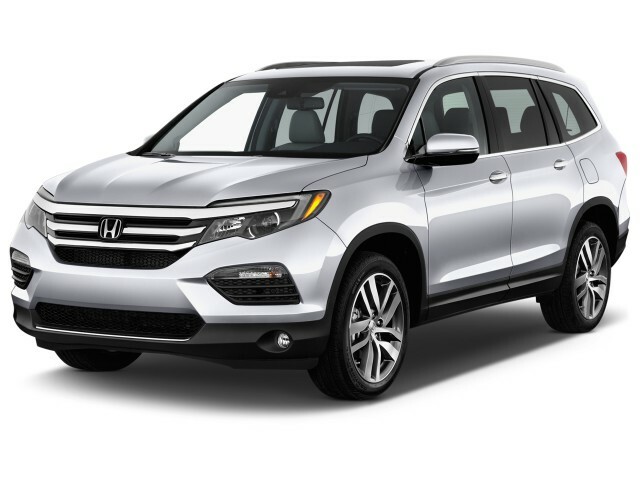 The Honda Pilot offers only a V-6 engine, with a choice of automatic transmissions and front- or all-wheel drive. It doesn't need more. It kicks out energetic acceleration, great gas mileage, and handling that's dialed in ideally for its mission. The Pilot's composed handling changes by trim level and wheel-and-tire package. With any of them it's set up with a compliant ride and relaxed steering. The result is a crossover SUV that feels luxurious and mature behind the wheel, an Acura MDX in everything but name. Pilots with bigger 20-inch wheels are more softly damped, to counteract the harshness that big wheels can induce. With 18-inch wheels, the base versions are a little more taut. 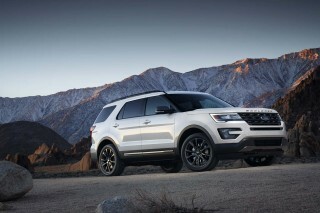 The Pilot's new all-wheel-drive system has built-in torque vectoring. It can split power from the front to the rear wheels—up to 70 percent to the rear—but also can split power between the rear wheels, via a set of electronic actuators and hydraulically actuated clutches. When it senses the need for more traction--accounting for acceleration, cornering grip, and degree of rotation--it shifts power to the rear wheels and between them, using the electronics to tell the axles to turn more on the outside rear wheel. It's a system that delivers very quick response—so quick, it can take some time to get used to driving it on a bigger, taller vehicle. The Pilot's engine is a revamped version of Honda's direct-injected 3.5-liter V-6. Wound up toward redline, it has a lovely, pure engine note that underscores Honda's reputation as an engine maker first, car company second. We'd put acceleration easily below seven seconds to 60 mph. The Pilot has one of the most useful interiors among crossovers; even adults can fit in its third-row seat. With three rows of seats and room in any of them for a full-grown adult, the Honda Pilot comes perilously close to maxing out space in the same way as Honda's own Odyssey minivan. All it's missing are those sliding side doors, really. By the numbers, the Pilot gains 1.7 inches of wheelbase, to 111.0 inches; it's 3.5 inches longer than the previous version, at 191.0 inches long. However, the track is slimmer (from 67.7 to 66.3 inches), and height is also down 70.7 to 69.7 inches. The net is about the same interior volume, according to Honda, with more space devoted to frontal crash structure, third-row seating and cargo space. The Pilot does a great job delivering front-seat space and comfort. The seats are well bolstered, with good definition, even on the base trim levels (through EX-L). A high driving position gives a commanding view out of the vehicle even for smaller drivers. The controls and storage surrounding the driver and front passenger are usefully placed and arranged. The steering wheel has round controls to operate the driver's smartphone and the car's audio system—good thing, since the touchscreen is missing a knob for volume, entirely. A shallow bin in front of the deep cupholders holds a Plus-sized smartphone right next to a high-power USB port. On 9-speed models, the lack of a shift lever gives a little better sense of space in the cabin. A sliding lid covers the deep center console. Be warned: you could lose a small bag or phone in there. The Pilot's very good crash-test scores are accompanied by lots of leading safety features. The Honda Pilot earned commendable marks from federal and independent testers, including a five-star overall rating from the government and a Top Safety Pick+ nod from IIHS testers. Every Pilot has a wide-angle rearview camera. On the EX, EX-L, and Touring models, a right-side-view camera offers a look down the vehicle on the dash display, activated by a right turn signal. Honda Sensing is offered on the Pilot EX and Pilot EX-L. It includes adaptive cruise control; lane-departure and forward-collision warning systems with automatic emergency braking; active lane control; and road-departure mitigation, which uses sensors and cameras to determine if the Pilot is leaving the pavement, then tries to pull a car back on the road with stability, braking, and steering inputs. The package comes standard on Pilot Touring and Pilot Elite trims. The NHTSA has published its data, and the 2017 Pilot retains its five-star overall ranking. That rating comes with a lower four-star score for frontal protection than we'd expect. For 2017, the IIHS rated the Pilot with top "Good" scores on all crash tests, an "Acceptable" rating for its headlights, and a "Superior" rating for its front-crash avoidance technology, which netted a Top Safety Pick+ honor. The Pilot adds CarPlay and Android Auto to its ample standard features list this year. The 2017 Honda Pilot's seen a small price increase, but it remains a great value in mid-level trims. 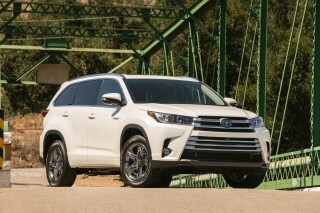 We'd skip the base Pilot LX model, and choose one of the midline EX, EX-L, or Touring trim levels. The Elite? It's priced close to Honda's own Acura MDX, which deserves a look if you're keen on spending almost $50,000. Honda's audio and infotainment systems aren't the best, but this year's addition of the cleaner, easier Apple CarPlay and Android Auto interfaces should keep any driver happy and safe behind the wheel. All Pilots get a seven-speaker, 200-watt audio system with a 5.0-inch color touchscreen interface. The EX and EX-L trims get a larger 8.0-inch display and the Android-based Display Audio interface, with its big tiles and icons and generally friendly operation. The Touring and Elite sport a 10-speaker, 540-watt premium audio system. All Pilots, from the base LX on up, come with the usual power features; air conditioning; cruise control; a 5.0-inch color audio display with AM/FM/USB port; cloth upholstery; and 17-inch wheels. Honda blocks some features from this model entirely, features such as a forward-collision warning system and the one-touch second-row seat. On the Pilot EX, you'll find three-zone climate control; a power driver seat; a LaneWatch right-side camera; satellite radio; remote start; two more USB ports; and Pandora audio streaming and texting capability. The Honda Sensing safety package is a relatively affordable option here. It includes forward-collision and lane-departure warning systems. The Pilot EX-L sports leather; a power tailgate; a power moonroof; heated front seats; and the one-touch second-row seat. Pilot Touring crossovers adopt Honda Sensing safety gear as standard, as well as a Blu-ray DVD entertainment; a navigation system; 20-inch wheels; memory seats; parking sensors; two more USB ports, for a total of five; ambient lighting; stop/start; and a 115-volt outlet. On the accessories list are a tent; a trailer hitch; black 20-inch wheels; rear parking sensors; a roof box; roof rails; bike mounts; and all-season floor mats. The Pilot's gas mileage is average, but we're seeing economy lower than official ratings. The 2017 Honda Pilot is rated by the EPA at 19 mpg city, 27 highway, 22 combined. With all-wheel drive those numbers are roughly the same, just 1 mpg off of highway. Last year, with the introduction of the latest Pilot, Honda promised boosts of up to 2 mpg highway for its biggest crossover, thanks to upgraded transmissions with 6 and 9 forward speeds. It also trimmed 300 pounds from the Pilot's curb weight, and added stop/start, to conserve gas at traffic intersections. It can be turned off, but it resets itself to on with every full power-up. In our long-term test of the Honda Pilot, we're seeing more along the lines of 19 mpg combined. The Honda Pilot is still a leader of the pack, having great safety features and a wonderfully smooth ride! The Honda Pilot has a great fit and finish, driver/passenger-friendly safety benefits, and looks!